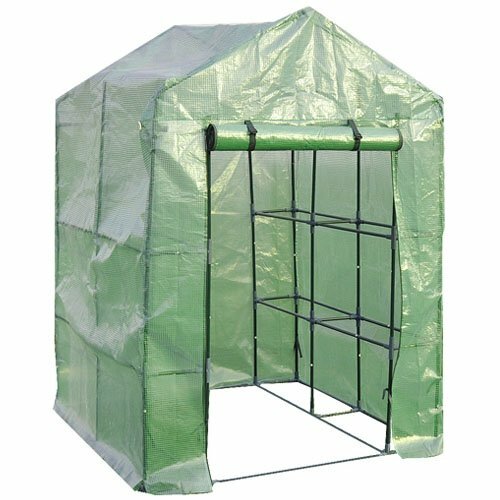 Best Choice Products presents you this brand new Green House Tent. This Tunnel Greenhouse Will Protect Your Flowers and Lovely Plant from Any Weather Conditions like Rain, Wind, or Snow. 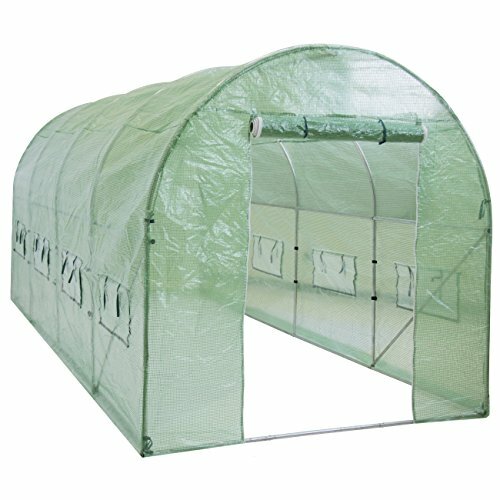 This High Quality And Portable Tunnel Greenhouse Will Help You Grow A Beautiful Garden. The Greenhouse Comes With PE Cover And It Is Easy To Set Up. Your Garden Will Not Only Enjoy The Sunshine But It Will Also Grow In A Freely Wide Space Breathing Fresh Air. We purchase our products directly from the manufacturer, so you know you’re getting the best prices available. NEW PRODUCT WITH FACTORY PACKAGING. 8 Rolling-Up Windows With Screens (4 On Each Side). Zippered Door For Easy Access. Heavy Duty Threaded PE Cover and Rust Resistant. High Grade Silver Powder Coated Steel Tube Frame. Includes Guy Ropes And Stakes For Stability. SPECIFICATIONS: Product Dimensions: 15’x7’x7′ (Length x Width x Height). Weight: 61.3. Color: Clear Green. PLEASE NOTE: Our digital images are as accurate as possible. However, different monitors may cause colors to vary slightly. Some of our items are handcrafted and/or hand finished. Color can vary and slight imperfections in the metal work are normal and considered evidence of the hand-finishing process, which adds character and authenticity to those items.